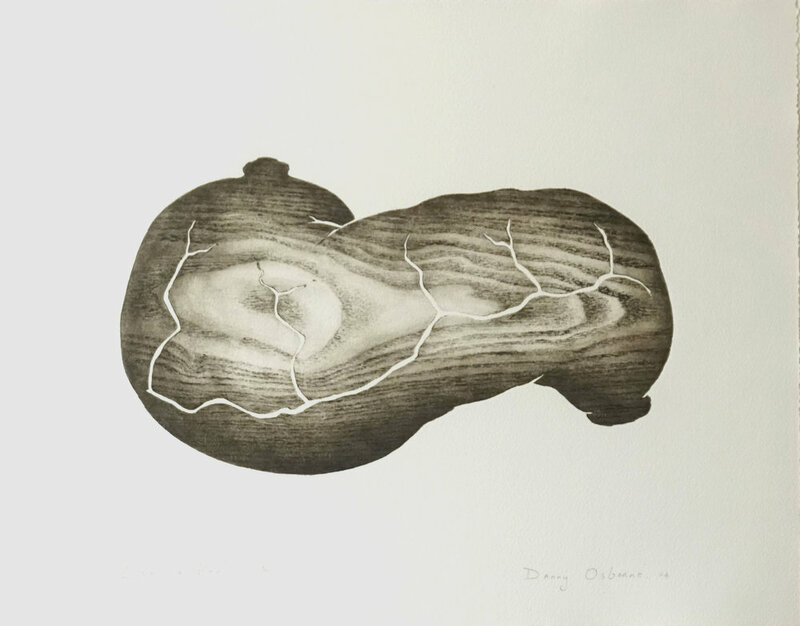 'Mater' Collagraph print. Detail. 60x118cms. 2017. 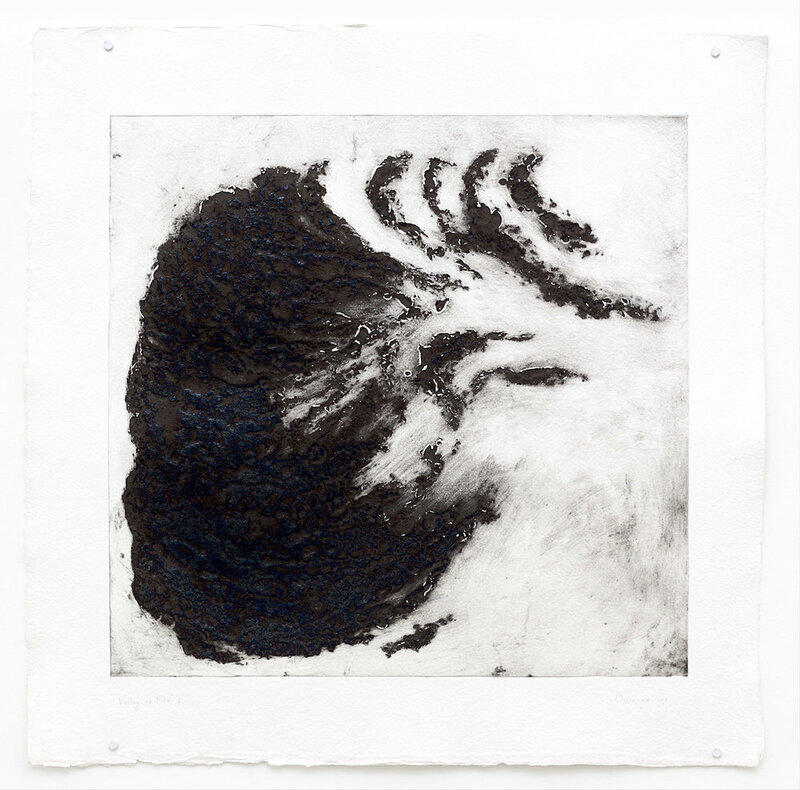 'Valley of Fire' Collagraph on handmade paper, 92 x 92 cms. Fish Nor Fowl, Woodcut, 2003. Ger On Guard Duty - Countess of Warwick Sound, Woodcut, 2003. 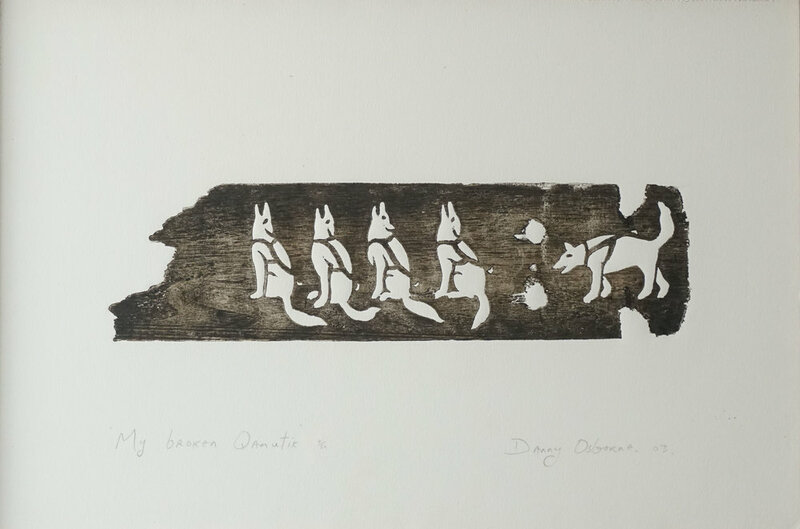 My Broken Qamutik, Woodcut, 2003.